Fuel, Fire and Freedom! Phillips 66, the iconic fuel brand wants to take you “up, up, and away” in a hot air balloon. 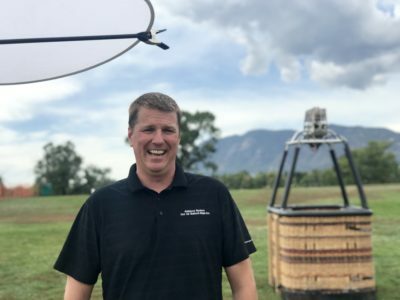 If you’ve ever wanted to experience flight in this fashion, you’ll definitely want to put Colorado Springs Labor Day Lift Off on your bucket list. Phillips 66 did and we went along for the ride. 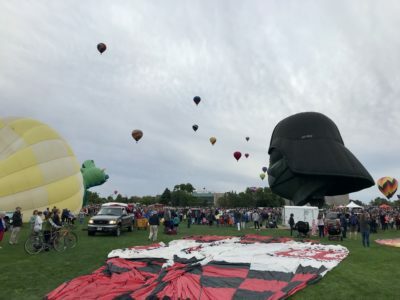 Every Labor Day weekend kicks off the annual Labor Day Lift Off Balloon Festival at Memorial Park in Colorado Springs. 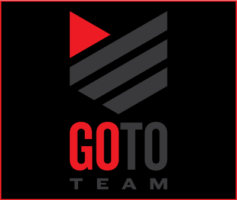 This year, Go To Team’s Denver crew, Ryan Dumville, teamed up with Phillips 66 and Rainbow Ryder’s to document veteran hot air balloon pilot, Paul Petrehn, participate in the event. Paul has been flying commercial since 1995 and has logged over 1,700 hours in a hot air balloon. In January 2018, Paul was the 19th Ranked Hot Air Balloon Pilot on the FAI/CIA World Ranking List. Following Paul around for the day was a treat for our crew. The morning started off early while Paul prepped the air balloons and rigged them for early morning take off. 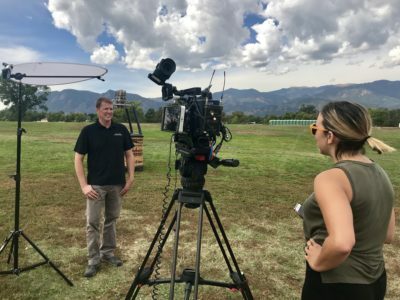 Ryan was equipped with a Sony F5 and a wide array of lenses to help capture the atmosphere of the event, as well as the beautiful vistas of Colorado Springs. The camera crew was challenged with following and documenting the balloon flight path from the ground via a chase vehicle. Once the balloon landed we wrapped up the shoot by interviewing Paul. The cloud cover that day made capturing the interview a breeze, as we didn’t have to counteract the harsh direct sunlight with HMI lighting. It was exciting to document and see Paul in his element and to hear stories of his flights all over the world. If you’re lucky enough to fly with him, be sure to ask about the time he flew an ice cream cone for Ben & Jerry’s!